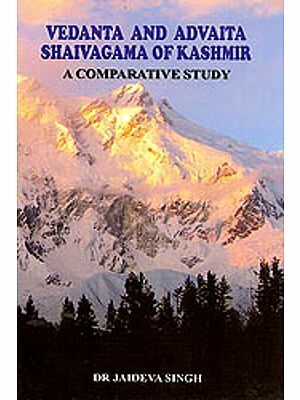 The Siddhantapanjara edited here for the first time is based on two incomplete and two complete manuscripts. Palm leaf manuscript available in the Kerala University Mss. Library. 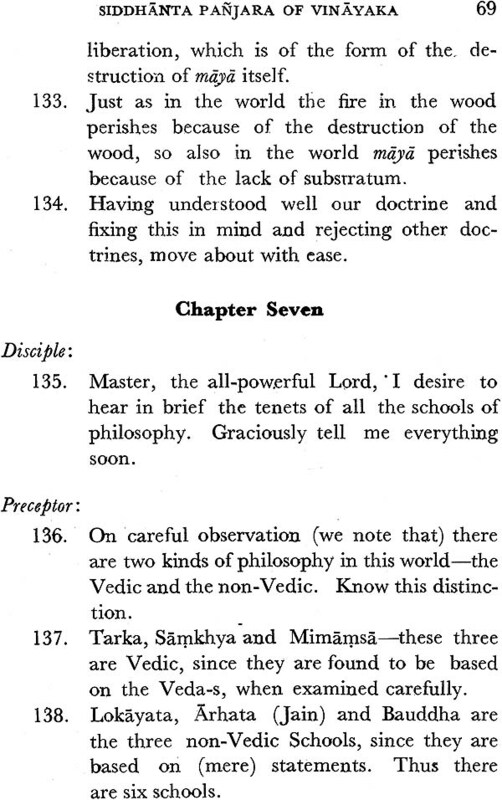 The work is divided into 8 chapters and is in the form of questions and answers between a disciple and his teacher. 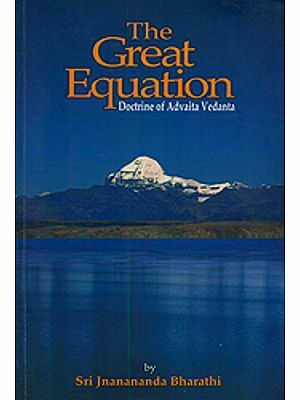 It gives a lucid exposition of the Advaita Vedanta. The first four chapters deal with the concepts of samsara and samsarin. The fifth is a discussion on maya. 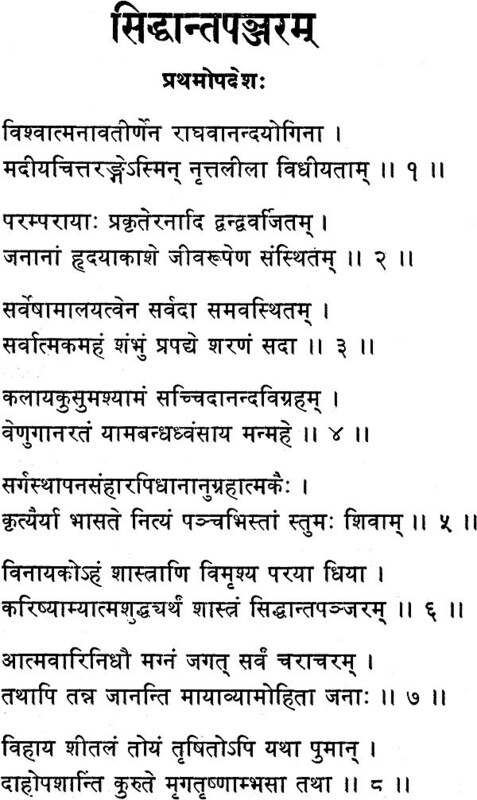 The seventh is in the form of Sarvanara-samgraha, giving the various principles of the systems of philosophy. 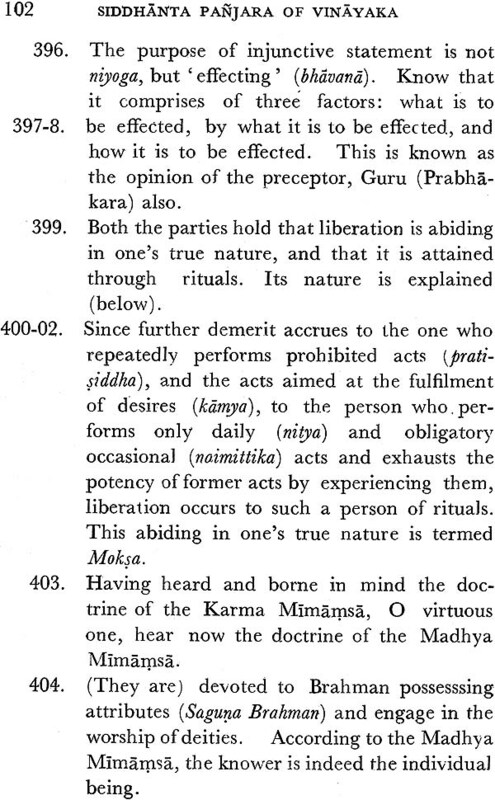 It divides the philosophies as Avaidika and Vaidika. 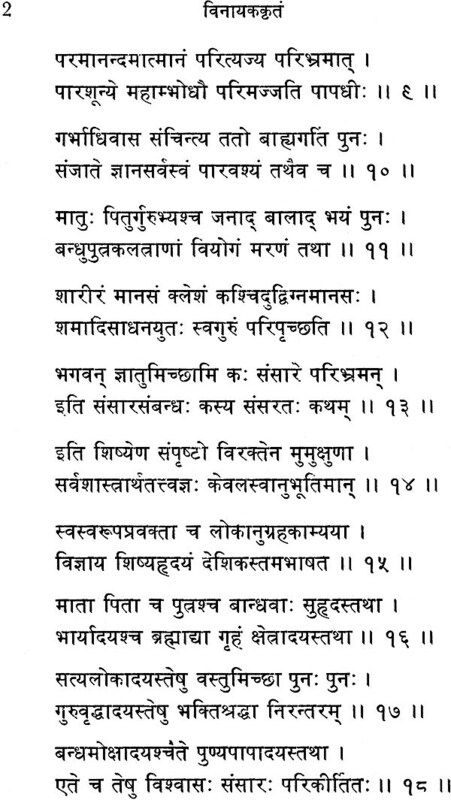 The system of Carvaka, Bauddha and Jaina are Avaidika-s while Samkya, yoga, Mimamsa, Nyaya, Vaisesika and Vedanta are Vaidika. 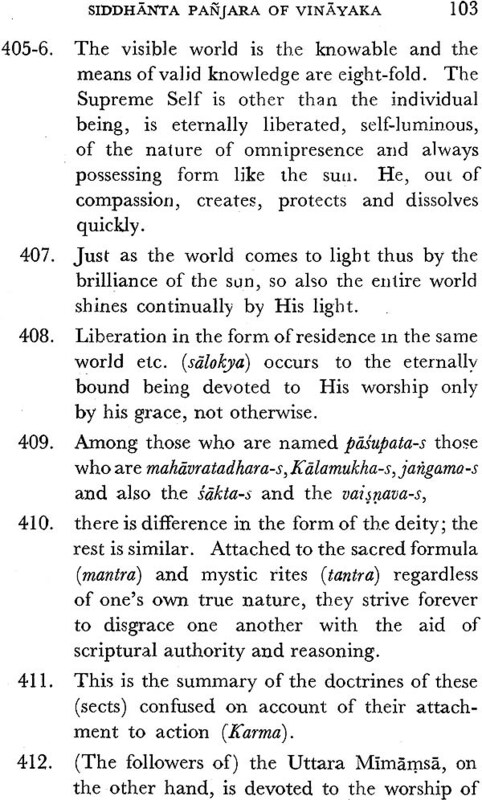 A Succinct account of all these follows, stressing again and again the paramount importance of Vedanta. Comparisons and contrasts are clearly pointed out. The eighth chapter is really a synthesis of all the systems. Even in the Carvaka system atman is accepted which is nothing but body. Because atman comprises everything, this is also not to be expelled from consideration. 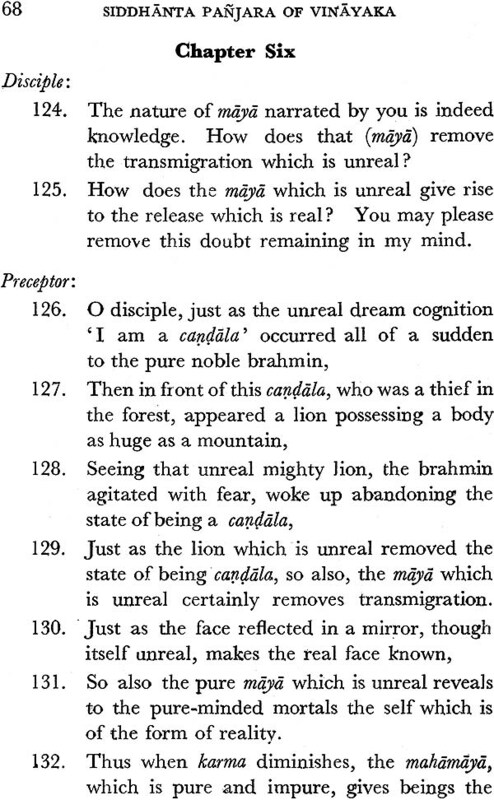 So we can see the Sarvamatasamanvaya expected even before Sri Ramakrishna proved it by his experience in our century. 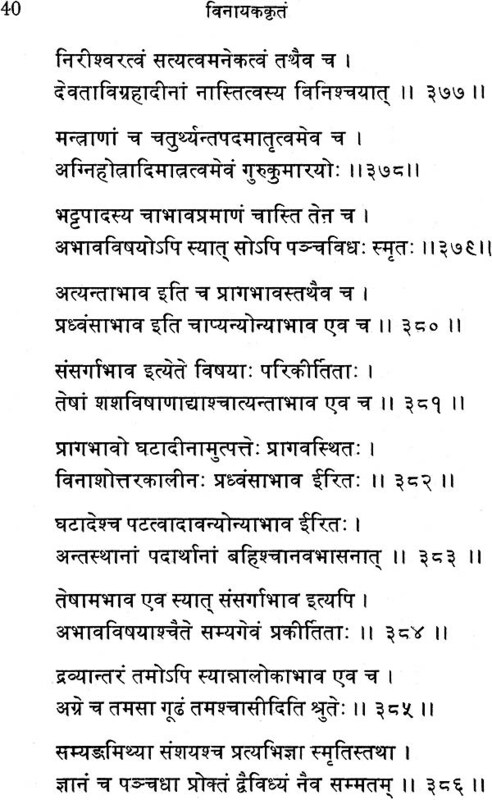 The author vinyaka was a pupil of raghavananda Yogin, probably identical with the famous Raghavananda, commentator on the Bhagavata, who flourished under the patronage of king Raghava of kolathunad in Kerala in the beginning of the fourteenth century. 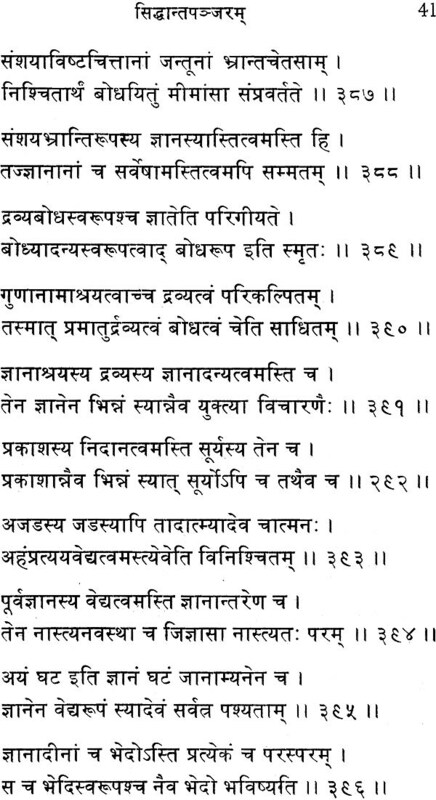 The author Vinayaka refers to his patron as king Keralavarma Matikendra. In translating into English we have taken into consideration the necessity of the modern students of Indian philosophy. Dr. Usha Colas has helped us in translating the texts into English and deserves our sincere thanks. We hope this edition will be found useful for the scholars and students of Indian philosophy.